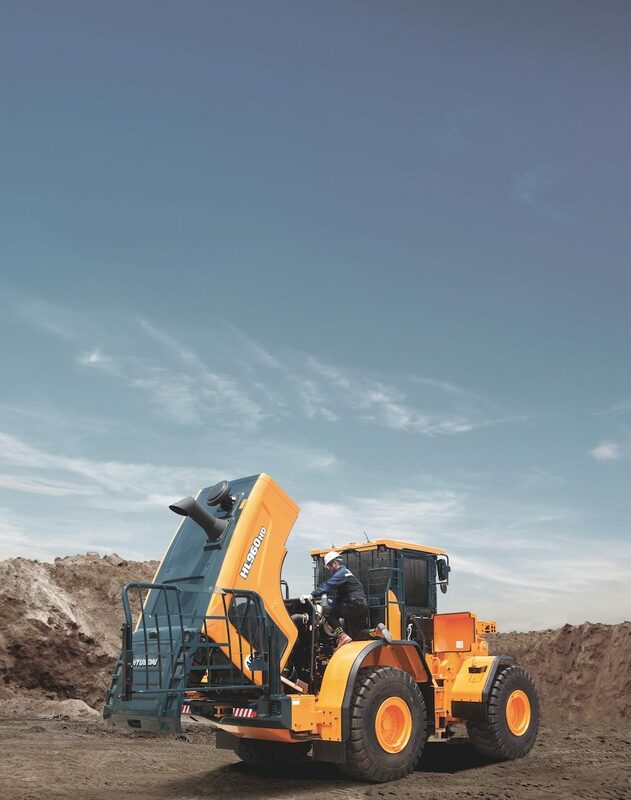 The division of the Korean manufacturer Hyundai has recently launched a new heavy duty wheeled loader HL960 HD. Fitted with the brand new Stage IV Cummins QSB6.7 with a net power of 222 hp, it can load until 44t at the front and 35t at the rear. Designed to work in harsh environments like waste treatments, axles operate with tires which benefit from longer operating times. Its environmentally friendly features, such as the automatic shutdown of engine, and guarding options from falling debris and materials have been upgraded.